On Sunday afternoon, following the largest anti-Semitic attack on US soil in the country’s history, Sen. David Frockt sent the following email to every member of the Washington State legislature. It requests that members consider signing a statement of support that will be delivered Monday evening at a vigil hosted by the Jewish Community of Seattle. In asking other members to join him in this statement ahead of tonight’s vigil, Frockt explained that “I wanted to create a statement that could reach across divides and try to build bonds and not merely assign blame. I am proud to say that as of noon Thursday there are 133 signatories from each party and of all different ideologies, from the most liberal to the most conservative. The complete email is pasted below. The attack yesterday in Pittsburgh is the worst incident of anti-Semitic violence in the history of this country, dating back to 1790 when George Washington told the Jewish community of Rhode Island that the “descendants of Abraham” would always have a place in an America founded on religious tolerance. The victims of this attack included a 97 year old woman, two brothers in their 50s, and several other Americans who were senior citizens. It goes without saying that they threatened no one and had only come to their place of worship on their Sabbath in order to find peace personally and in the world. The suspect was reported by first responders as shouting “All Jews Must Die” as he hunted victims and confronted police. 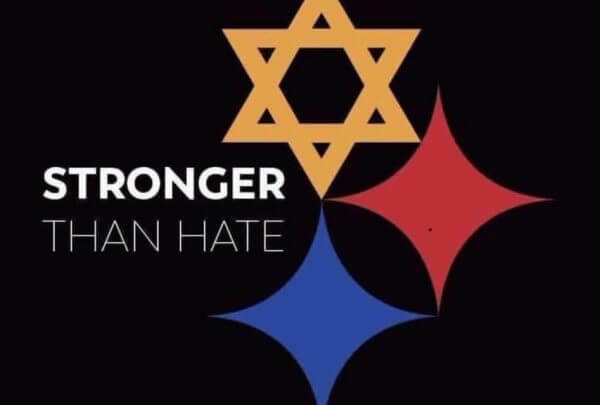 On Monday night, the Jewish Community of Seattle with the support, I am quite sure of every other denomination in our city, will be holding a vigil to commemorate this horrible incident and to stand in support of the victims in Pittsburgh and the entire community. At this event, I would be honored to present a statement of support acknowledged by every member of the legislature, regardless of party. I include the text of this statement below. If you would like to join in this statement please let me or my legislative assistant , Crystal (cc’d above), know by 12 p.m. on Monday. No need to send your electronic signature. We will simply list your name with your consent. It would be an important statement to have every member of the legislature, from both political parties, in support. Thank you for your consideration and I am sorry for the short notice. I hope that coming into our work next year, we can find a way to work together as leaders to always reject the hatred that led to this attack and others we have recently witnessed. We the undersigned members of the Washington State Senate and House of Representatives, regardless of party lines and political differences, together with our friends and neighbors in the Jewish Community of Washington, stand united in support of the Jewish Community of Pittsburgh at this time of unspeakable loss. With one voice, we condemn this evil act. We hold unequivocally that an attack on one community of faith in America is an attack on all communities of faith in America. We stand together in condemning the anti-Semitism that motivated this heinous attack, and we call on our fellow elected officials at every level of Government in Washington and around the country to do the same. We pledge to do all that is in our power as political leaders to confront hateful rhetoric, including anti-Semitism and other forms of hate, whenever it arises; to lift up the level of our political discourse, and to uphold the fundamental value of religious and cultural tolerance that forms the very foundation of civic life in America.